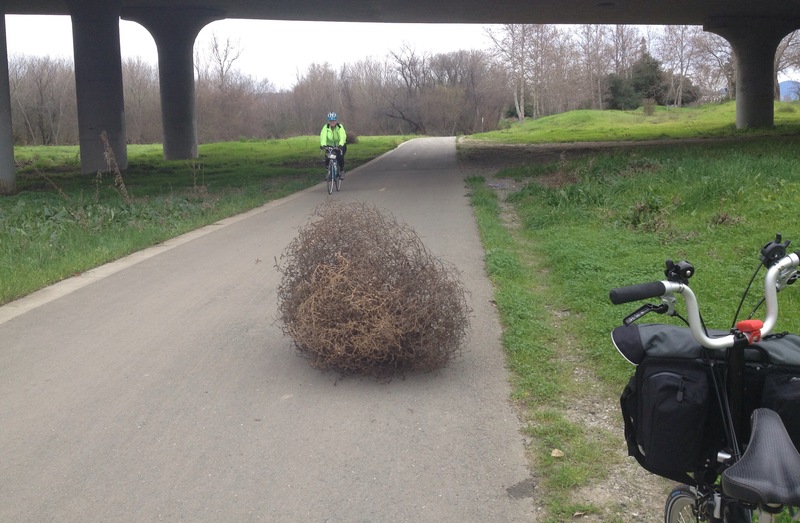 Bike Commute Diaries: Tumbling Tumbleweeds | One woman. Many bicycles. The reason tumbleweeds tumble is to spread their seeds around. They started out as an invasive species from Russia, maybe 150 years ago or something like that. The tumbling around in the winds has spread their seeds all over our world since then. I had no idea. Is the American West that much like Russia?